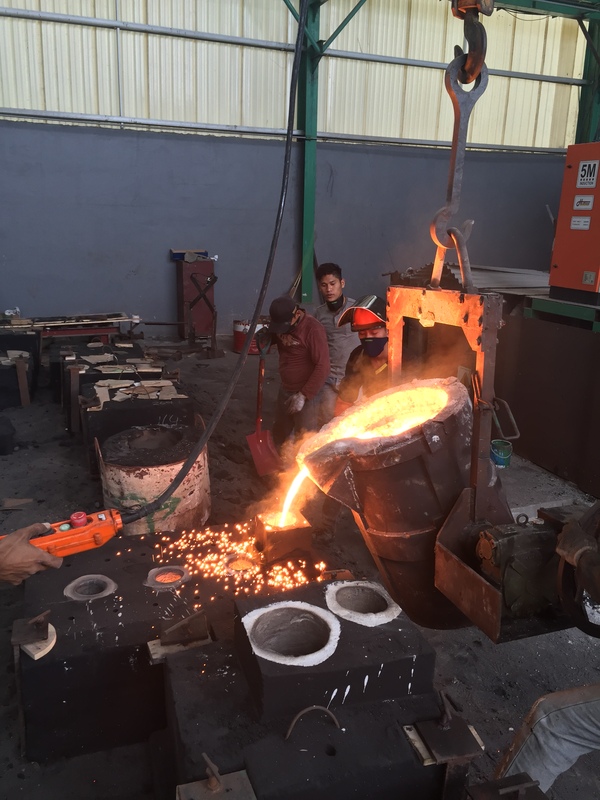 Steel is inserted into furnace. 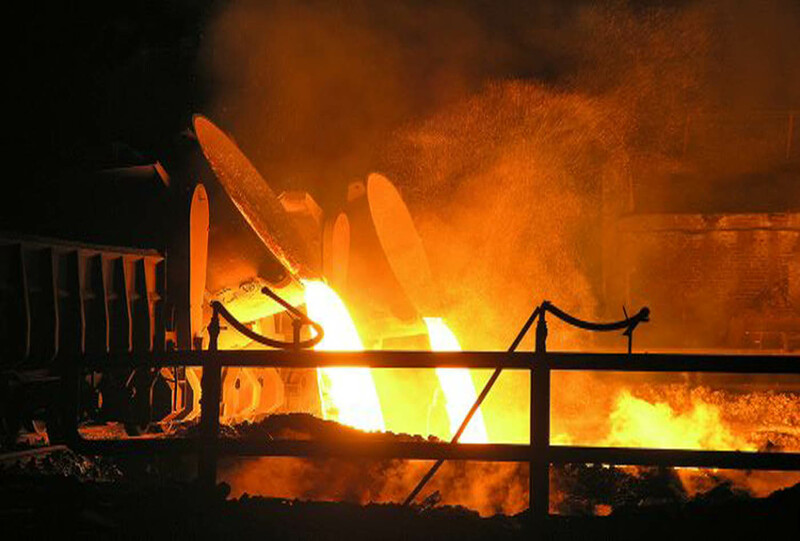 Heating until 1200 degree celcius temperature will cause the steel melt into molten steel. 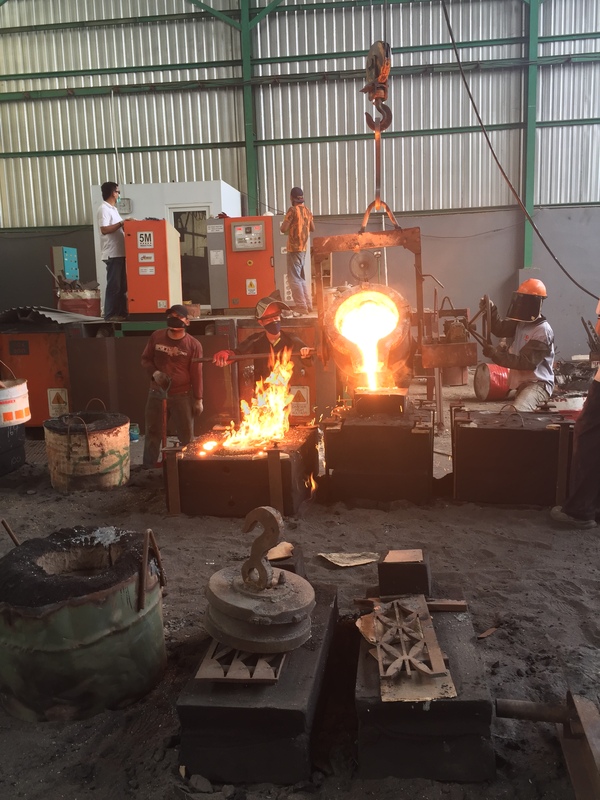 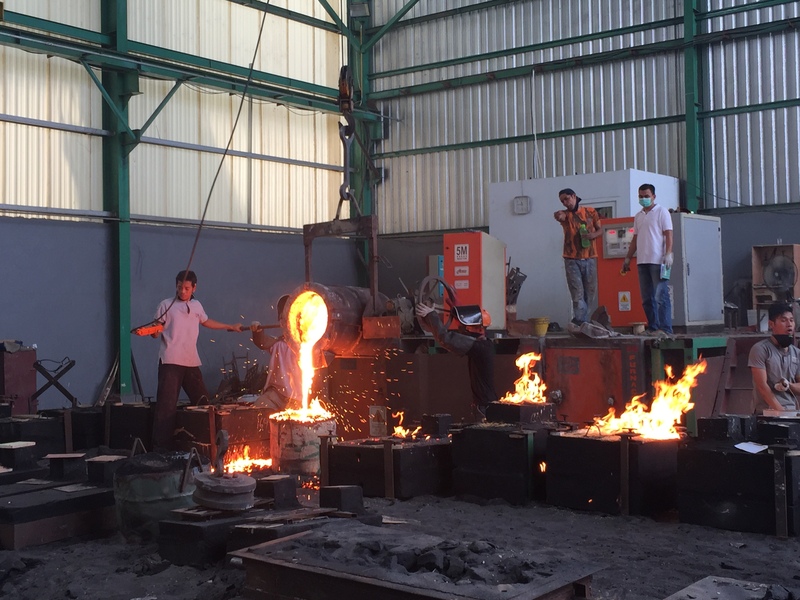 Molten steel is ready to be poured into moulding. 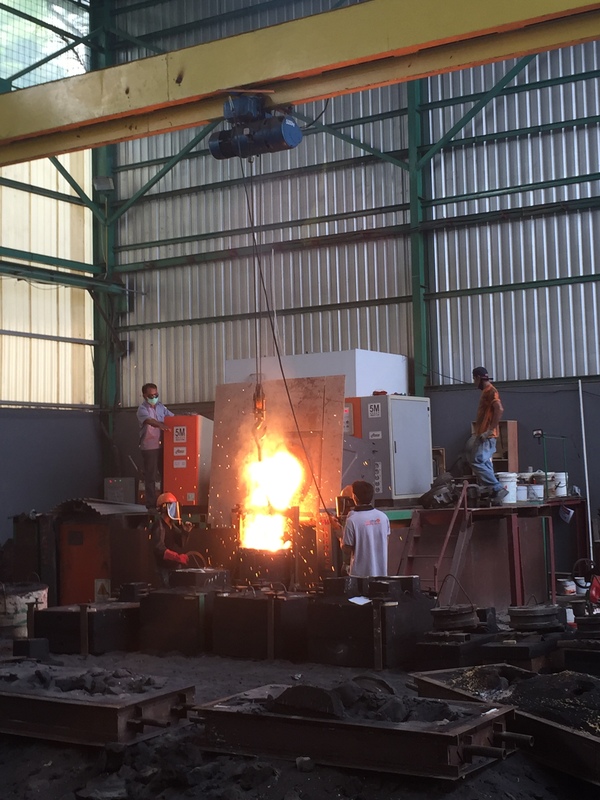 Then wait untill the molten steel cooling down and become solid state.